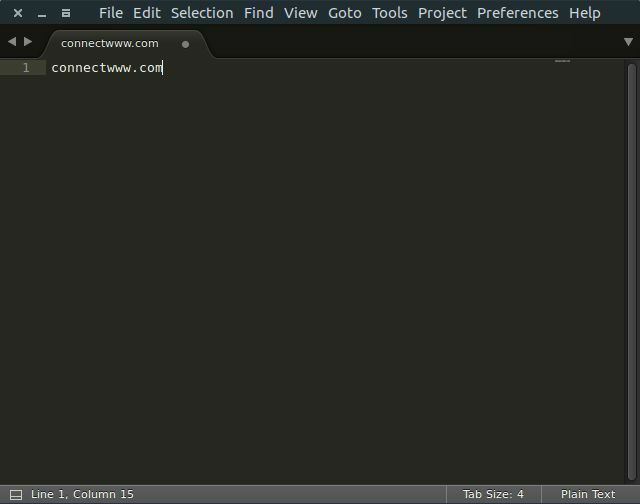 Sublime Text is proprietary cross-platform source text editor Windows, mac and Linux. You can download and try for free and currently no enforced time limit for the trial period. Some of the important features are Multiple Selections, Command Palette, Split Editing support, Instant Project Switch, Distraction Free Mode and you can customize Menus, Snippets, Key Bindings, Macros, Completions with JSON files. It provides Python based plugin API with Python console. Sublime Text 3 .deb file installers are available for Ubuntu from Sublime Text home page and download page but they don’t update. To get the update you need to install it via the below terminal method. Open your terminal app in ubuntu and type the below code and hit enter to download the security key. Type your ubuntu password and hit enter. Then run the below command to add the stable build. If you want to add the development build, just run the below code in terminal. After the sucessful installation of Sublime Text 3 on ubuntu, restart your ubuntu pc. Just type Sublime Text in the ubuntu dash search field. Then click Sublime Text to open it.